Inventory control. Save money by not ordering surplus chemicals. Check in /check out capability which provides real time status of containers - including the quantity. Great for chemical store rooms. 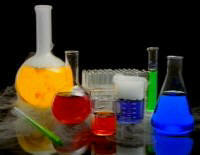 Reorder thresholds can be set for critical chemicals. Link from the item directly to Material Safety Data Sheets (MSDSs). Import and export from/into spreadsheets or databases. Generate custom reports with the built-in Report Wizard. 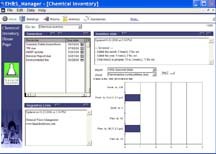 Download a trial version of EH&S Manager Click here. Request pricing or a Web Demo (it only takes 30 minutes) Click here.